All four updates are maintenance releases, smoothing out bugs, performance, and security issues. iOS 11.4.1 can be installed through iTunes, or by using iOS 11's over-the-air Software Update feature. Any associated HomePods should be updated to their new firmware automatically. Installing watchOS 4.3.2 involves loading the Watch app on a paired iPhone, selecting General, then Software Update. The update process requires that an Apple Watch have at least 50 percent charge, and be sitting on its charger as well as within Bluetooth range. tvOS 11.4.1 can be installed on the Apple TV or Apple TV 4K. If a set-top isn't set to update automatically, the process can be forced by going into the Settings app, System, and then Software Update. The only detailed release notes are those for iOS 11.4.1, which indicate that it fixes AirPod tracking in Find My iPhone, and improves the reliability of mail, contact, and note sync for Microsoft Exchange. Anecdotal evidence suggests the update may also solve battery drain some people have experienced. More importantly, the update incorporates USB Restricted Mode, a security feature that effectively disables hardwired USB data connections to protect user information. Outside of these, the developer and public beta releases suggested the update would concentrate more on bug fixes and performance improvements, rather than introducing new features. It is likely that Apple would rather save any new additions for iOS 12, tvOS 12, and watchOS 5, which are undergoing beta testing ahead of an expected release this fall. AppleInsider is looking through the latest operating system releases for any changes, and will report back any findings soon. Updated with information regarding USB Restricted Mode. I hope they address the Siri bug in HomePod that makes the very useful function of Shopping List virtually UNusable. Half the time it works, the other half she tells you you “haven’t set that up yet.” Supremely frustrating! How come in 2018 there is STILL no way to search for an app and delete it in that search?! Basic functionality still not in iOS, very frustrating!!! To manage or delete iOS Apps go to settings->iPhone Storage, wait for your Apps to load, then manage from there. Please let other people know whether this improves battery life, or makes it worse. I don't see that in the release notes. Hopefully this fixes the battery issues some have been having. iOS 11 seems like one of the buggiest releases yet. iOS 12 PB is so much better. Wonder if it’s fixes the share hang up on my iPad Pro. Doesn’t happen on my 5s. Siri always adds items to my shopping list. Unfortunately, they're often misunderstood. Recently, "ear plugs" was added as "your plugs", "face cream" was added as "ice cream", and my favorite - "Cheesy Enchilada Hamburger Helper" was added as "Cheese inch a lot of hamburger helper". I never noticed any change in bass or sound quality - it still sounds amazing. Unfortunately, I'm still waiting for a firmware that fixes the regular "hard of hearing" issue that occurs within a day or two after each restart. Like clockwork, Siri becomes almost deaf. Unplugging and replugging the device temporarily restores proper operation. After hours of troubleshooting, Apple's solution was a refund. I bought one locally and it does exactly the same thing. This user reports a similar problem and claims that today's update fixed it for him. I had hoped that for the last two updates, but it always works perfect for a day or two after a restart, so it's still too soon to tell for me. You didn’t see it in release notes because it’s not an issue. After every iOS update there’s a bell curve of users complaining about decreased battery life. As time passes those reports dwindle as people figure out what was happening. I have updated every time and have never experienced increased battery drain. Don’t assume something is real by reading anecdotes online. Usually I'm in the same boat as you, with no battery issues, but this time even my iPhone X, a friends' iPhone 7, and another iPhone 6s Plus, all had MASSIVE drain, even though they were updated in full via iTunes and not OTA. Utilities to check SoC load on these phones showed CPU idle had increased from averages of 1.8-3% had jumped to 10-20%, so don't tell me this isn't an issue. 11.4.1 on my iPX seems ok, but too soon to tell if the battery is better, will have to wait and see. Is it possible the CPU load is increased right after an update because the phone is actually working to rebuild it's search files? (I don't know... just guessing here.). Give it a few hours (or even the next day) and see if that CPU idle isn't back to "normal". Yep, I've had watchOS "updates" eat my battery completely within a couple of hours. Always wait a while before updating. Read the reports here, then decide in a few days. And then be prepared for problems. I won't update my watch during the week. My wife’s iphone has been having issues with the photos app completly sucking the battery, frequently using in excess of 40% of the battery, even if she doesn’t have it open. An apple support discussion I’m subscribed to sent an update that someone found 11.4.1 to help the issue. Then I saw a news report this morning about others having battery issues with 11.4.1. I’d follow Eightzero’s advice - wait a week or two to update. There’s nothing huge in this update. Everyone is making a big deal of the USB restricted mode, but how many people really need to worry about Cellebrite hacking their phone? What are the chances this will be the last release of WatchOS for the original Apple Watch since version 5.0 is for Apple Watch 2 and above. Exactly how do you not update your HomePod? "All four updates are maintenance releases, smoothing out bugs, performance, and security issues. iOS 11.4.1 can be installed through iTunes, or by using iOS 11's over-the-air Software Update feature. 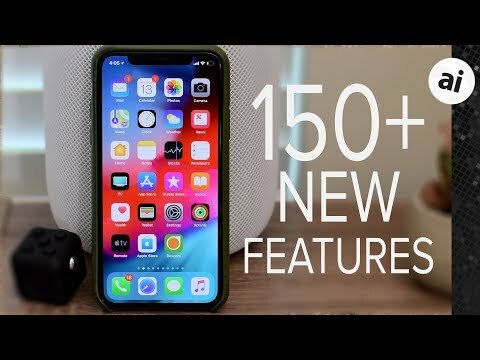 Any associated HomePods should be updated to their new firmware automatically." You just go into the Home app and switch off auto updates for HomePod.